The Tone It Up fitness duo, Karena and Katrina know that you are now busy back-to-school and back-to-work, however this is no excuse to fall out of shape. Use their great Detention Workout video to keep yourself fit for fall. Check them out today for Fitness Friday on the SKECHERS Facebook page.View the video below or download a printable version of the workout here. Don’t forget to keep us posted on your results. The SKECHERS Facebook page has been taken over! Today is the first official Fitness Friday and our posts now are in the hands of the Tone It Up Girls, Karena and Katrina. From now on, every Friday, check us out the SKECHERS Facebook page for great fitness, nutrition and health tips from one of the elite SKECHERS Ambassadors. Karena and Katrina from ToneItUp.com are the dyanamic fitness duo, personal trainers and best friends that offer fitness tips, workout videos and contstant motivation to help people all over the world live healthier and achieve their goals. Visit ToneItUp.com or join their Facebook community for the latest in Tone It Up news. American TV personality and SKECHERS spokesperson Brooke Burke was recently spotted the FN Platform Show in Las Vegas. Burke, who currently stars in the SKECHERS ProSpeed and Shape-ups Liv by SKECHERS™ campaigns, autographed her book “The Naked Mom” and posed for photos with fans. Burke also gave the crowd a preview of the new SKECHERS GOrun lightweight running shoes – her bright purple pair will be available in stores soon! Burke has a long history with the brand – she appeared in her first SKECHERS campaign in 1994. Burke recently extended her current contract and will continue as the global face of SKECHERS through 2013. Want to learn more about Brooke’s shoes and read what other SKECHERS endorsers are saying? Check out SKECHERS.com or visit select SKECHERS retail stores to get your own pair! Did you hear? The new SKECHERS GOrun has hit the ground running. SKECHERS GOrun is our newest high performance running footwear line that helps you to feel more and react faster. SKECHERS GOrun elevates the natural running experience, allowing you to interact with and respond to practically any surface, while offering the additional benefit of real world protection. SKECHERS GOrun features SmartShoe™ a mid-foot strike and GOimpulse sensors for enhanced sensory feedback. Call 1-800-746-3411 to find the SKECHERS store nearest you currently carrying SKECHERS GOrun. SKECHERS Answers YOUR Most Frequently Asked Questions! Have a question about your SKECHERS footwear, but not sure who to ask? See if it’s answered below by SKECHERS’ own Tim the Shoe Guy in this month’s FAQ! Tim the Shoe Guy: I usually advise against washing your shoes in the washing machine – it tends to shorten the life of your shoes, and it may damage leather uppers or fine details. Instead, I advise you to clean leather shoes with a leather cleaning spray or lotion (readily available at most drug stores or shoe stores), and non-leather shoes or parts of shoes with mild soap, warm water and a soft cloth. Why don’t you make Twinkle Toes or Bella Ballerina shoes for women? TSG: Sometimes SKECHERS will make a more popular girls’ design in women’s sizes – it’s all based on how much demand there is for a particular style. The Bella Ballerina™ shoes are very new and right now are only available for bigger girls due to the spinning disk design. What are all the new Pro Series shoes best used for? TSG: The SKECHERS Resistance Trainer™ Pro-TR shoes have the most lateral support, and is a great shoe for general training and most athletic activities. The SKECHERS Resistance Runner™ ProRESISTANCE™ sneakers are cushioned to activate more muscles in every step – so it’s great for those who want to train or run harder in shorter periods, whether they run, walk or jog. The SKECHERS Resistance Runner™ ProSpeed™ sneakers are the lightest shoes in the Pro series, and are ideal for running, jogging and walking, including racing and competing. Where can I buy this shoe near me? TSG: While the easiest answer to this question is often “right here at SKECHERS.com,” we also recommend looking at our Store Locator that will not only show you SKECHERS retail stores in your area, but all stores selling SKECHERS shoes. What’s new and exciting at skechers.com? 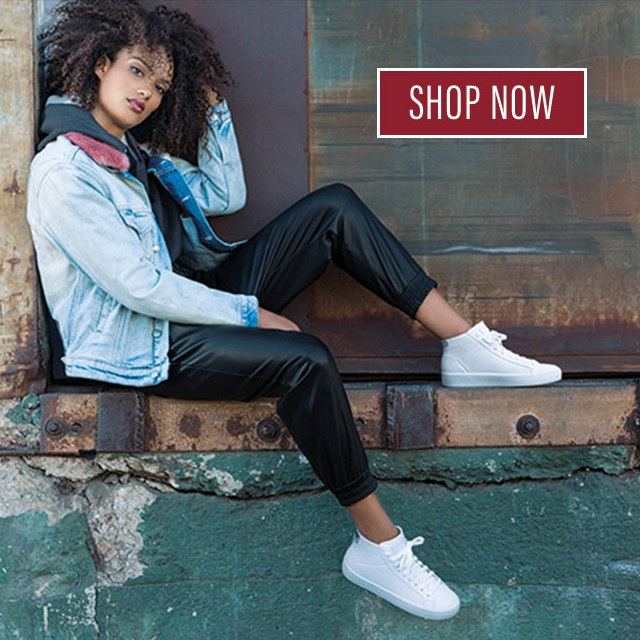 TSG: It’s always an exciting time of year around now – boot season is here, and skechers.com has a lot of boots up now and even more coming in. We’re really excited about our newest generation of SKECHERS Fitness shoes, including the exciting and hot-selling Shape-ups Liv by SKECHERS™. Of course, kids are crazy for light-up shoes like Luminators™ and the newest Hot Lights™ for boys, and the SKECHERS Bella Ballerina™ shoes are very popular with girls. We’re also excited to be teaming up with McDonald’s for a Happy Meal toy and coupon – girls can save on SKECHERS Twinkle Toes™ sneakers, and women can save on all SKECHERS fitness and athletic shoes! Tim is the web merchandising manager for SKECHERS and has years of experience selling running and athletic shoes for other retailers.